iTunes visualizer; plays QT movie. Is there a better alternative to Shortcut74? Is Shortcut74 really the best app in MP3 category? Will Shortcut74 work good on macOS 10.13.4? Shortcut74 needs a review. Be the first to review this app and get the discussion started! Shortcut74 needs a rating. Be the first to rate this app and get the discussion started! Shortcut74 is an iTunes Visual Plug-in that plays a QuickTime movie according to mp3's ID tag, or CDDB, etc. (genres,artists, albums,and title). 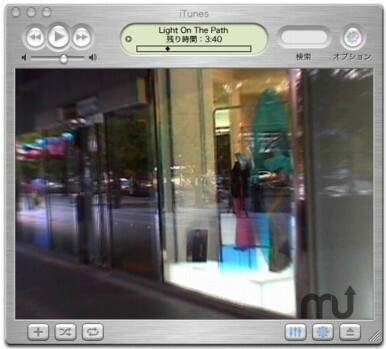 Not only iTunes's Visualizer, many other bad visualizers for a lot of .mp3 players exist. Most are visualizers drawing computer graphics, or wave-pattern analysis. When listening to techno or trance music using above visualizer, these visuals fuse with the music. However, when listening to jazz, funk, or soul, these do not fuse with the music. So with a purpose to let a visual fuse with the music as noted above, I developed "ShortCut74". "ShortCut74" is an iTunes's Visual Plug-in that plays a QuickTime movie. In addition, this plug-in can play a movie in the movie list by searching a text track of a movie file by a genre, artist, an album, and title.